We reach this milestone at a time of challenge in drug policy, but also of unprecedented reform opportunity. 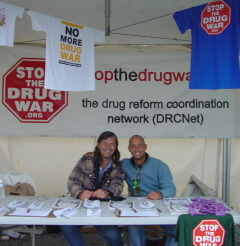 Phillip Smith's feature story this issue outlines what to look out for in Congress this year and next, and the issue as a whole provides a partial overview of recent trends in the drug war. There is much more to be said, of course -- stay tuned for more such overviews from Phil -- and for some thoughts from our executive director, David Borden, on the tasks confronting drug policy reformers; why despite the significance of the challenges the opportunities nevertheless exceed them, if we take the long view; and why your efforts as part of the drug policy reform movement are as important as ever if not more.